It is difficult to visualise these areas now, especially as part of the parish has been taken up by the former air base but traces still remain in places of the strips, which were ploughed lengthwise in such a way that the earth was mounded into the middle leaving furrows acting as drains either side – we call it ridge and furrow. Incidentally, the “Ways” at that time would have been tracks, something like Portway as we know it today. Portway was called Oxford Way. 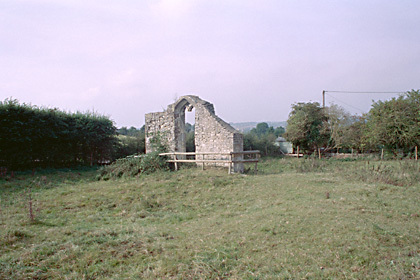 In 1765 work began on the enclosure of Somerton’s open fields, instigated by William Fermor, Lord of the Manor and owner of the parish, which basically involved dividing the large open fields and the common meadows and pasture land and uncultivated areas of furze and woodland into individual farms with tenant farmers. 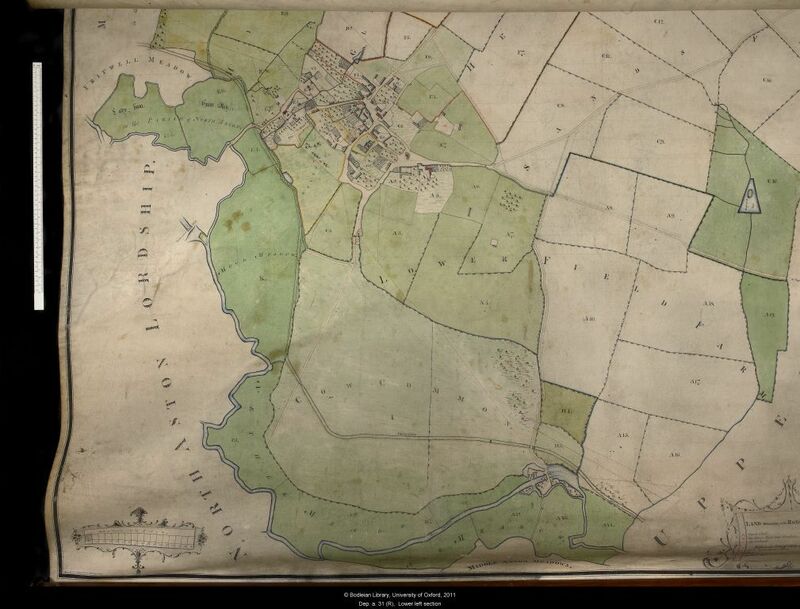 An enclosure map was commissioned by William Fermor (see Enclosure Map) to show how the farms would be set out, hedged and accessed. 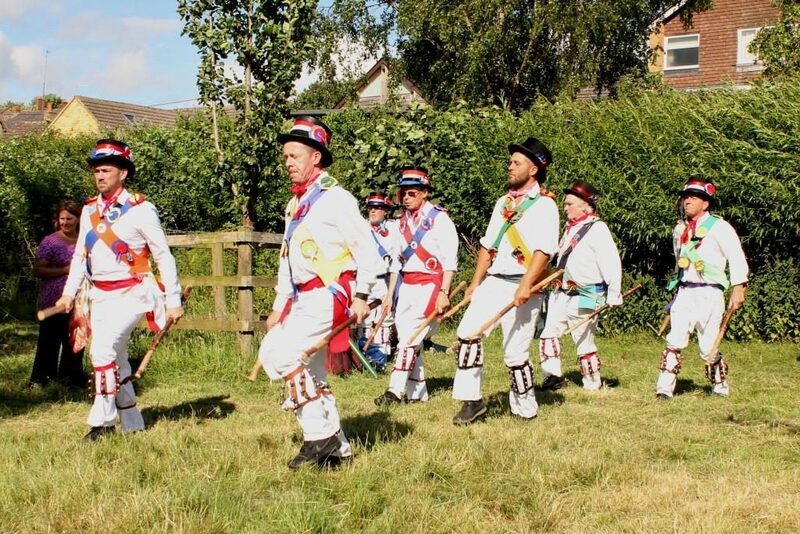 These farmers had previously worked a considerable number of strips of land scattered amongst the open fields of the parish. Enclosure gave them their share of the land in one piece thus creating farms as we know them today. 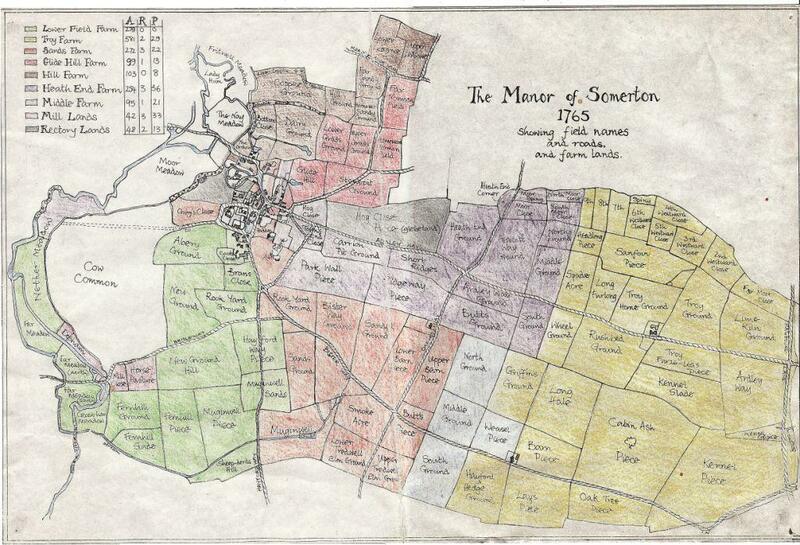 Somerton lands were divided into eight farms, the names of which can be seen on the village map. All the field names and their acreages are given in the terrier attached to the enclosure map. 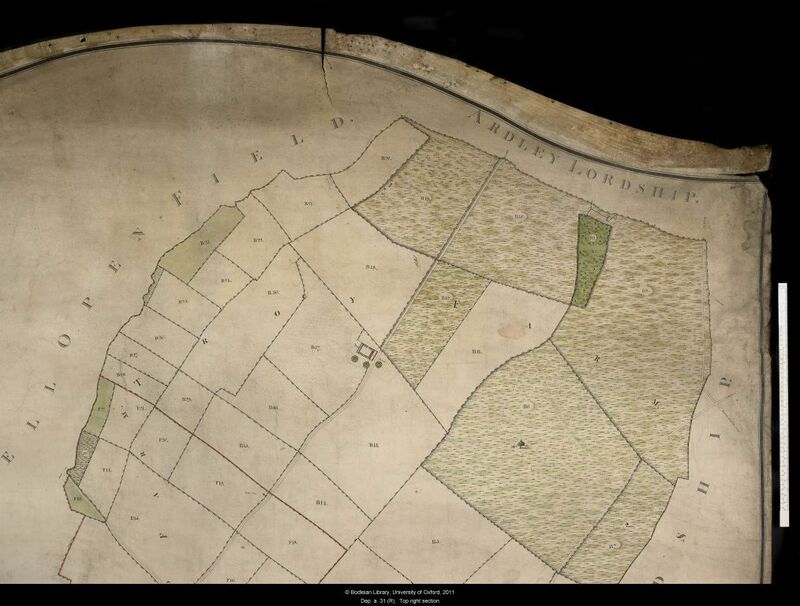 The farmhouses and adjoining yards and outbuildings within the village are marked as A C D E F and G. Troy Farm is marked as B and Somerton Mill lands as H.
The Rectory held its own land (glebe land), the village part of which is marked on the map. 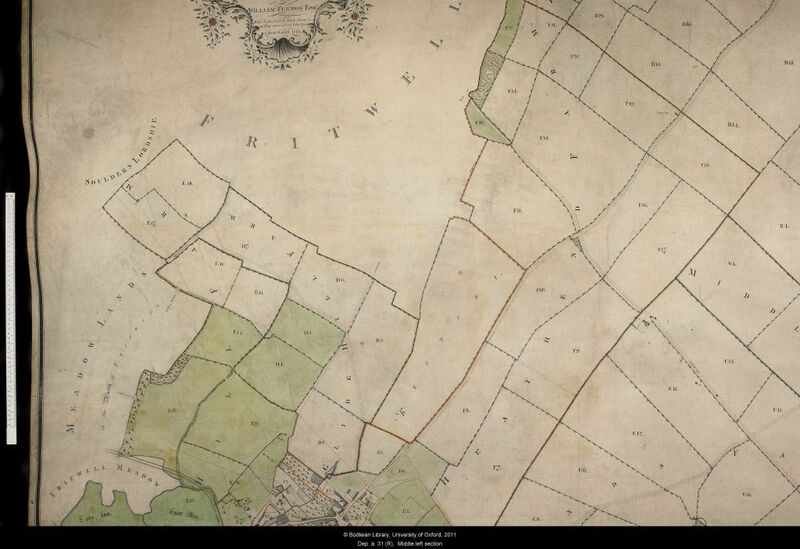 Those with very few strips of land before enclosure ended up with no land at all and presumably were employed on the eight farms. Enclosure took in the common land to which previously everyone had rights of use, thus excluding “commoners” from those rights. 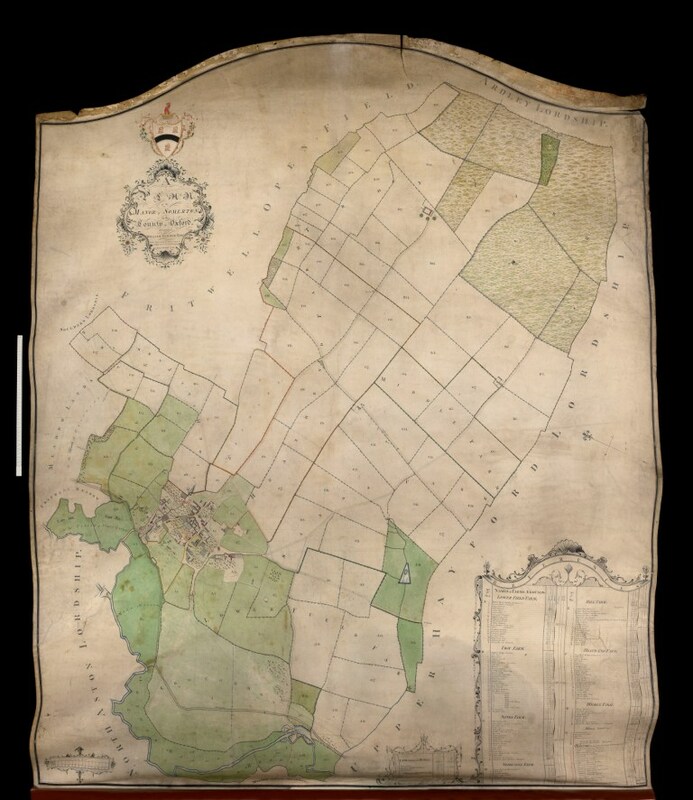 The 1765 Enclosure Map was commissioned by William Fermor who employed James Jennings, a well-known surveyor of the time who lived in Somerton. 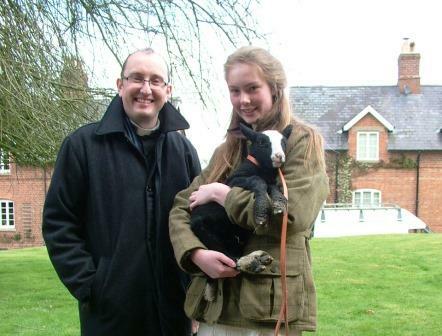 He was to be the tenant farmer of Hill Farm, and lived in what is now the old Railway Tavern. 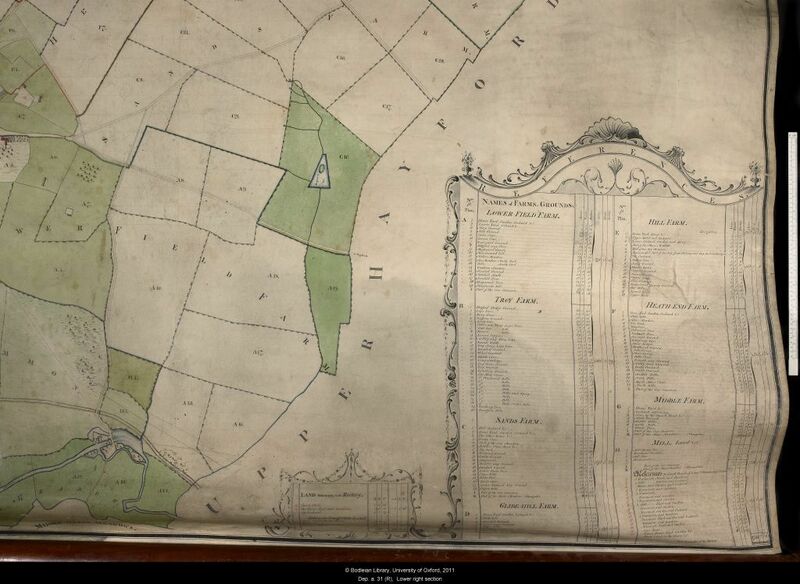 The “Inclosure Plan” sets out the division of the land in Somerton into eight farms and shows in minute detail the new fields, hedges, existing trees, cottage gardens and orchards etc etc. It is superbly executed in coloured ink on an ox hide measuring 6 foot by 5 foot which is rolled onto an ornamental wooden pole. 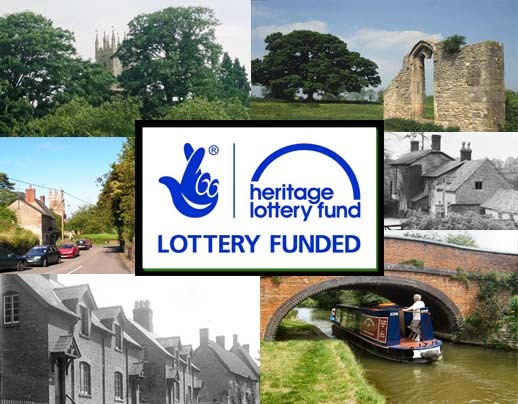 It was deposited in the Bodleian Library, Oxford in 1958 by Mr James Norman of Park Farm, Middleton Stoney. 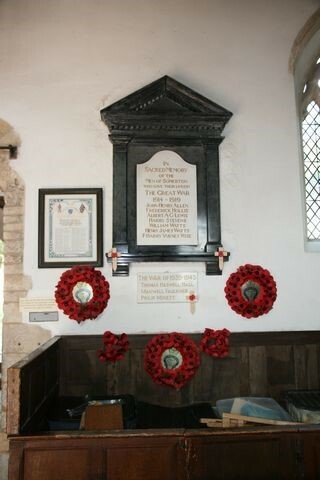 A tracing of it by W H Chamberlain in 1844 was amongst dozens of other tracings from different parishes handed into the County Record Office in the early 1980s by a firm of solicitors. 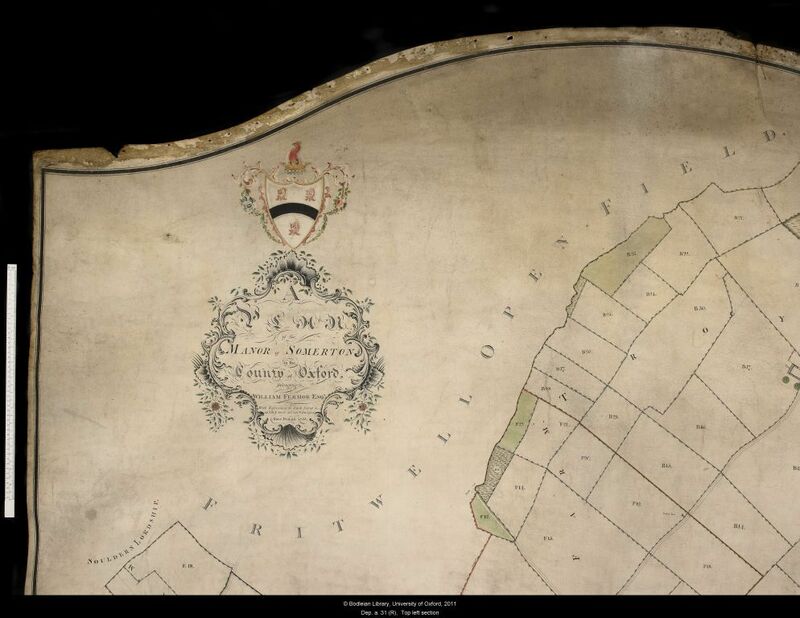 This excellent photograph of the enclosure map was taken by the Bodleian’s imaging department and produced as a digital image by them, with the kind permission of Mr Norman. 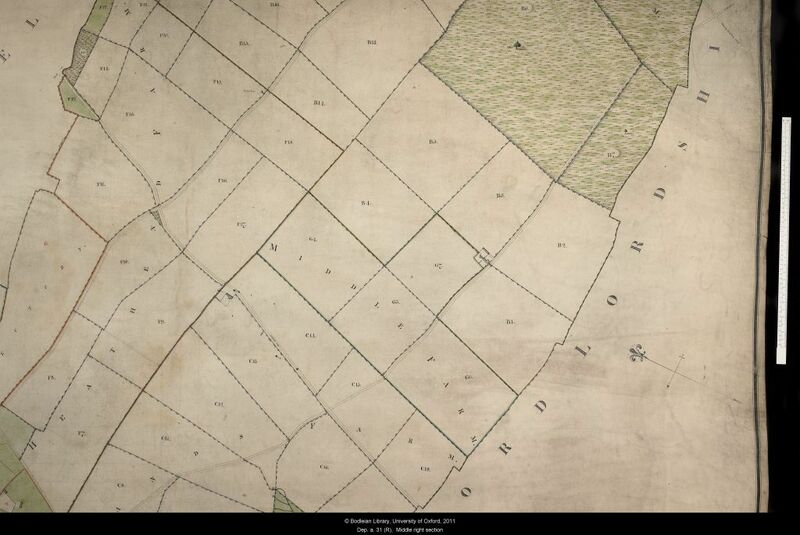 The terrier – which is written on the bottom right-hand corner of the ox-hide – gives the names of the farms, the new fields and their acreages. 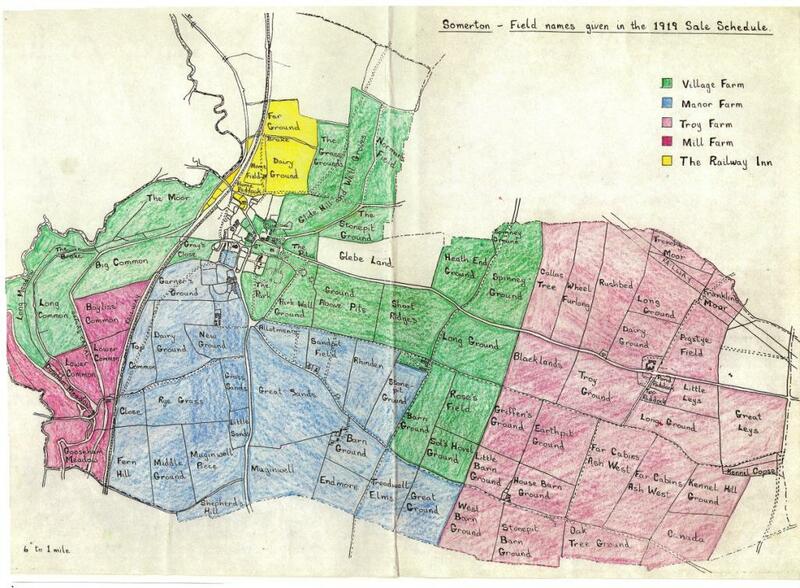 The map below shows which fields belonged to which farms at the time of enclosure. SEE MAPS BELOW OR CLICK HERE TO VIEW MORE DETAILS AS A PDF.